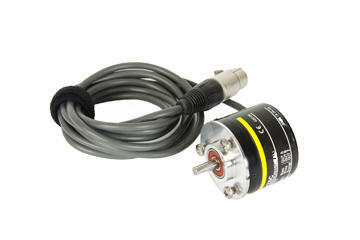 This incremental transducer has been specially designed to fulfill the strict requirements of the electrical industry. Of sturdy construction, the ZOT-2000 has such a degree of protection (IEC60529 IP64) that it can operate efficiently in many kinds of noisy, humid or greasy environments. Thanks to its small size, the transducer fits in very tight places where space is an issue. Electrically, this transducer offers a high degree of precision with a resolution of 2000 impulses per revolution. Its reliability, its quality of construction and protection, its precision and speeds, make this transducer an ideal component for all your measurement and positioning systems. 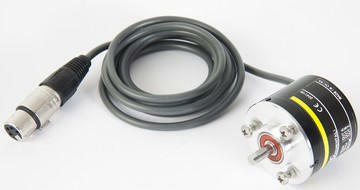 Is directly connected to the CBA-32P through an electronic interface (the digital inputs). The results can be viewed on your computer screen with our CBA Win© software.